Did you know? Love to walk your dogs? Pollens from grasses stick to a dog’s fur contributing to irritation around the face, paws and belly. Wiping your pooch after walks daily will ensure they stay itchy free, happy and healthy. 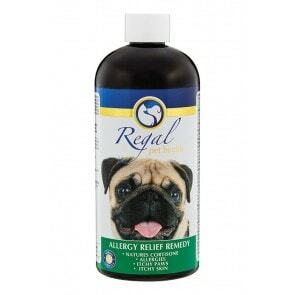 FOR BEST RESULTS use with Allergy Relief Remedy. 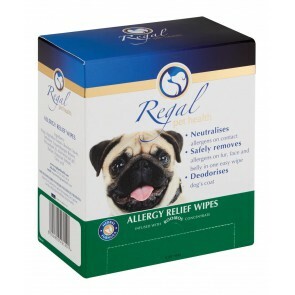 What is Regal Allergy Relief Wipes? Aqua, Aspalathus linearis (Rooibos) leaves, Trehalose, Cocamidopropyl Betaine, Polysorbate 20, Aloe ferox leaf gel, Parfum, Potassium Sorbate, Citric acid. 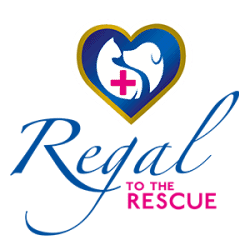 Wipe affected areas such as face, paws and belly daily, especially after walks – to ensure they stay allergy free.